This fascinating exhibition is on until 20th Oct 2018 at Tower Hamlets Local History Library & Archives, Bancroft Road, London, E1 4DQ. There’s a lot to see here about the local suffragettes, and the places they operated from. 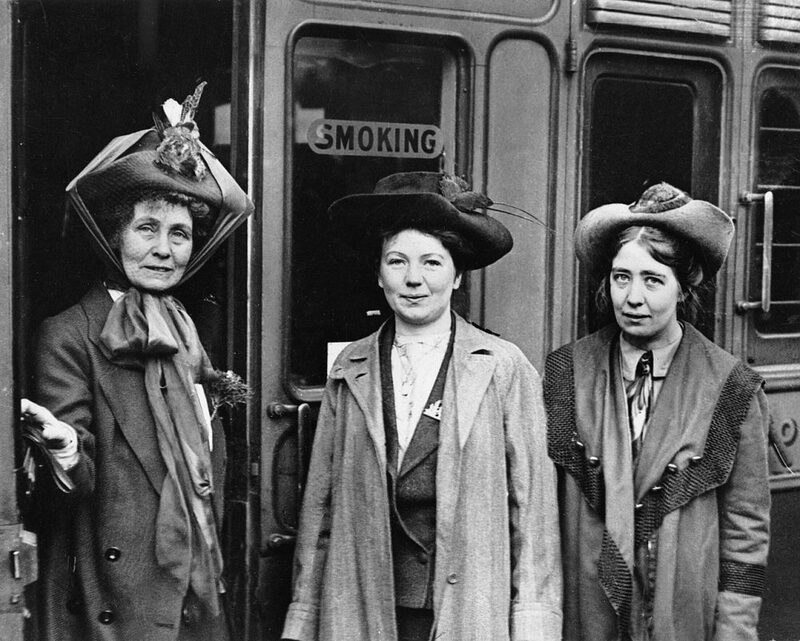 The East London Federation of Suffragettes, founded by Sylvia Pankhurst, was a radical group who split from the WSPU in 1914. One argument for the split was that the main Women’s Social and Political Union had attracted respectable wealthy women who couldn’t represent East End women, as detailed in this article. Differing opinions to the effectiveness of violence and militancy were splitting both the suffragette movement and the Pankhurst family. Locally, in Bow, the ELFS did a lot of good. They worked out what was needed, and delivered on it. They set up a co-operative toy factory, a health clinic, and a nursery. Most importantly they set up cost price restaurants to provide much needed food cheaply. They also had the guts and the ability to challenge the government. During the exhibition a modern variation on the cost price restaurant will run as described in the notice below. 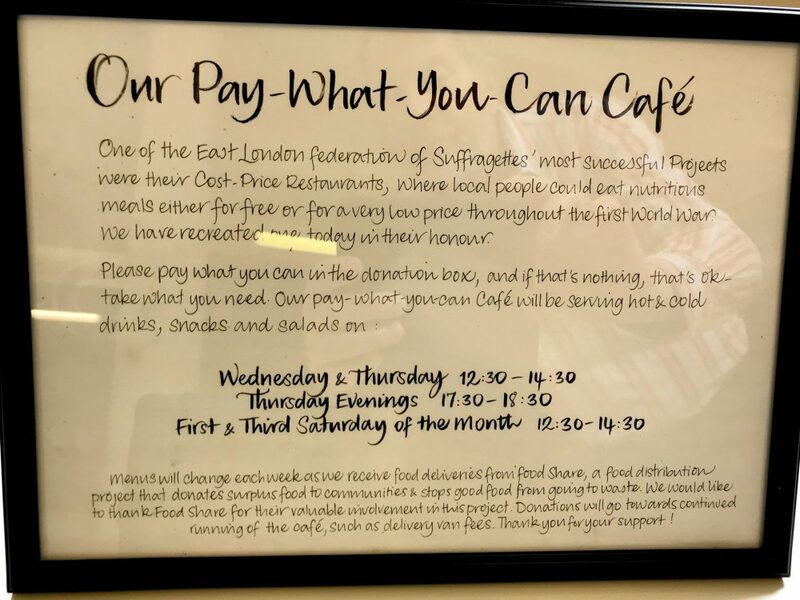 Available today: the pay what you can cafe. Running at set times during the exhibition. On Saturdays 1st Sept and 6th Oct there will be guided tours of the exhibition at 1pm. This exhibition is open normally open Mon – Fri 9-5, but only from 10am Tues, but late night Thurs until 8pm. It’s also open on Sats 18th Aug, 1st & 15th Sept, but not Aug Bank Holiday Monday 27th Aug. More info here.